A 24 hour emergency dentist knows the ways to solve all sorts of dental issues, regardless of how tough they are. Thanks to these dentists, you need not worry about waiting till the morning to get a dentist to tend to your unexpected tooth knockout. Despite being a small region in the United States, Kent manages to have some spectacular, certified, and knowledgeable dentists. More than 125,000 people reside in the county of Kent, a suburban area that has three distinctive parts: the West Hill, the Valley, and the East Hill. Some of the attractions of this region include the Kent Farmers Market and the Museum of Flight. With almost 35% of the overall population being less than 20-years old, Kent certainly requires experts in the field of dentistry. 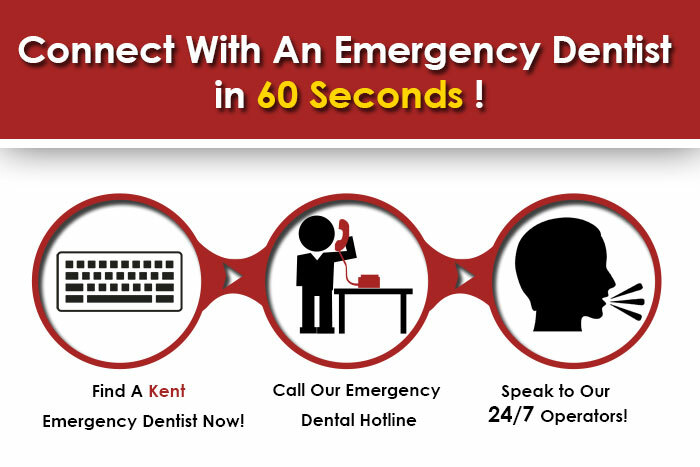 Kent is good to go, in terms of dental care, having plenty of emergency dentists that are able to treat anything, from a toothache to a gum disease treatment. Without a doubt, one of the best dental units around Kent, the SDK Dental Care center has a large fanbase. This does not come as a surprise, as they seem to be well aware of how to help those who have troubles with their overall dental hygiene and care. Affordable and comfortable, the center has a bunch of likeable doctors that deal with problems, such as dental implants, dental sealants, endodontics, cosmetic dentistry, and even wisdom tooth extraction. To book an appointment, call at 425 251 5440. The SDK Dental Care has an online form that is easy to fill, alongside a Facebook page which often posts updates. Moreover, their website contains a ton of videos that give potential patients an insight ofwhat goes on inside the clinic. Some of those videos also provide the patients with adviceto help promote oral health. To reach the brilliant group of dentists at Des Moines Dental Center that have been helping patients for a long time now, call 206 824 2804. They are open on Mondays and Wednesdays from 8.00 a.m. to 5.00 p.m. On Tuesdays, the office hours are a little longer, from 7.00 a.m. to 5.00 p.m. Also, on Thursdays, the timings are from 7.00 a.m. to 4.00 p.m. A welcoming team for sure, the Des Moines Dental Center could certainly help you get that sensational smile you wish for. Open on all days of the week except Sunday, the Covington Family Dentistry team is a friendly bunch that makes you feel at ease, especially during dental check-ups and procedures. From Mondays to Thursdays, this dental care center is open from 8.00 a.m. to 8.00 p.m. However, on Fridays and Saturdays, the Covington Family Dentistry is open from 8.00 a.m. to 2.00 p.m.